Deafheaven's scorching, cinematic black metal runs into criticism and compliments. If you want to get specific about it, the color that dominates the cover of Deafheaven’s Sunbather isn’t pink, it’s salmon. To be more specific, that cover—the lone features of which are swaths of color and a custom typeface announcing the record’s name—isn’t entirely salmon either. Its pinkish hue controls the eye, but through the aid of a gradient, orange and yellow undertones slowly bubble up, too. “The color scheme is what it looks like when you’re lying in the park and your eyes are closed and you’re looking at the sun,” said Deafheaven vocalist George Clarke—who collaborated with artist Nick Steinhardt on the cover—to Pitchfork a couple of weeks before the album’s June 11 release. The visual is subtle but striking once you absorb it, and Clarke is very proud of the finished product. As he discusses designing this art, he uses several descriptors: “clean,” “summery,” “high-fashion,” “modern.” What makes this image really remarkable, then, is that it’s for a black-metal record—a gorgeously thorough one at that. 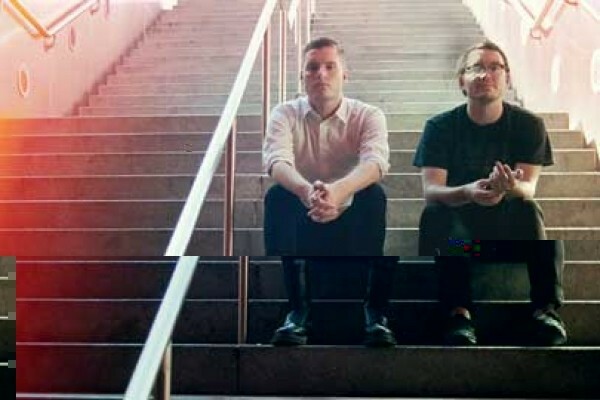 Sunbather, Deafheaven’s second record, is an epic album made up of seven songs (four of which cross the nine-minute mark); it’s filled with white-hot blasts of black-metal guitar, percussion that appears to have been recorded during a city-flattening earthquake, and Clarke’s agonized, unintelligible screams. Sunbather turns from great to marvelous by leavening all its intensity and emotional chaos with moments of calm and sweetness colored by the band’s nonmetal influences: post-rock, shoegaze and Britpop. Deafheaven’s crescendos somehow stop by both hellish, pitch-black cesspools and warm, heavenly stations built on top of clouds. A similar issue has plagued Liturgy, another young, non-black-metal-looking black-metal band whose frontman, Hunter Hunt-Hendrix, once wrote a heavily intellectualized manifesto on “transcendental black metal.” In response to this, Liturgy has not only received loads of venom online, but during one tour stop, someone slashed the band’s tires and shattered their windshield, too. Deafheaven hasn’t encountered any physical backlash so far, but Clarke isn’t too bothered by this feedback, anyway. Wednesday, July 10, 7 p.m.